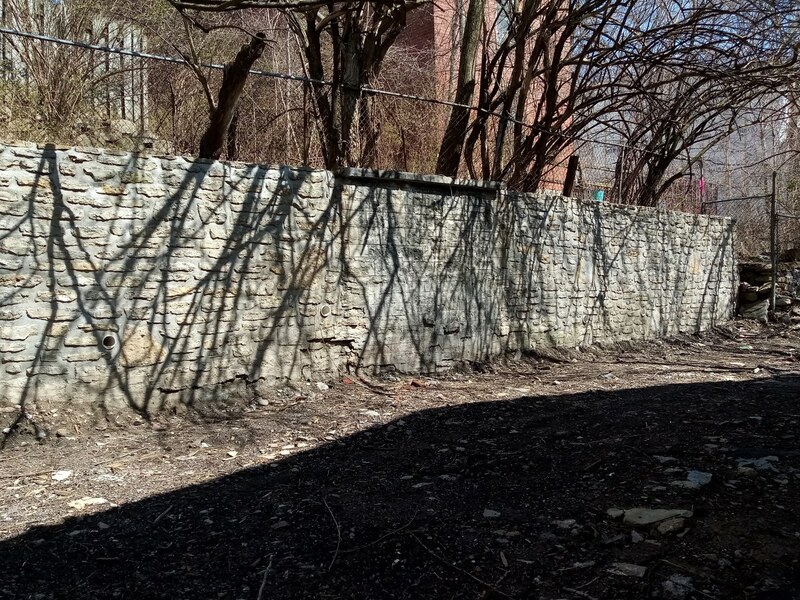 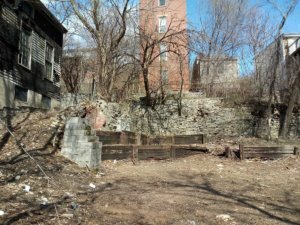 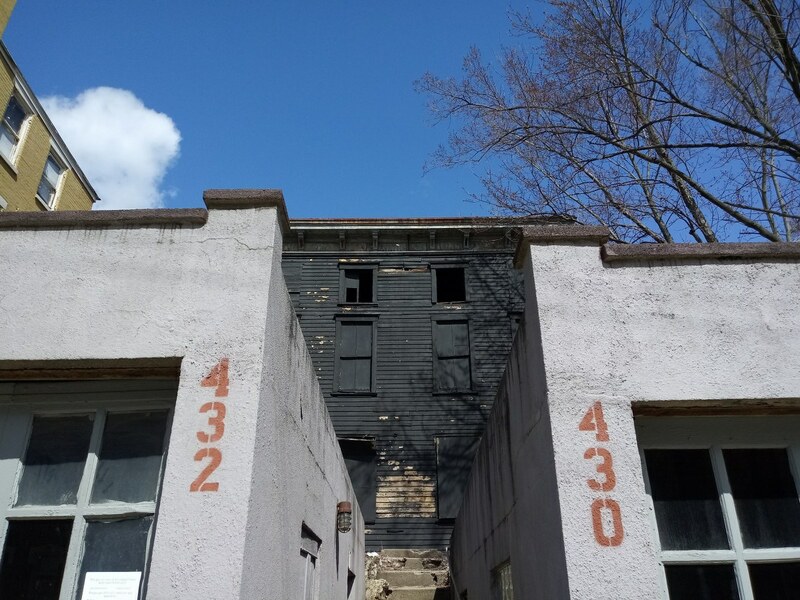 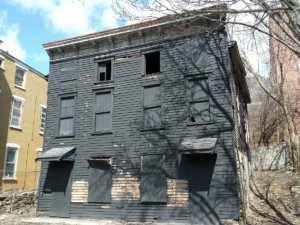 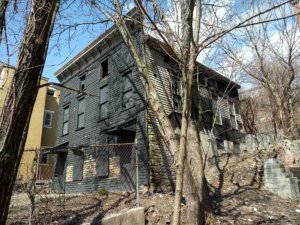 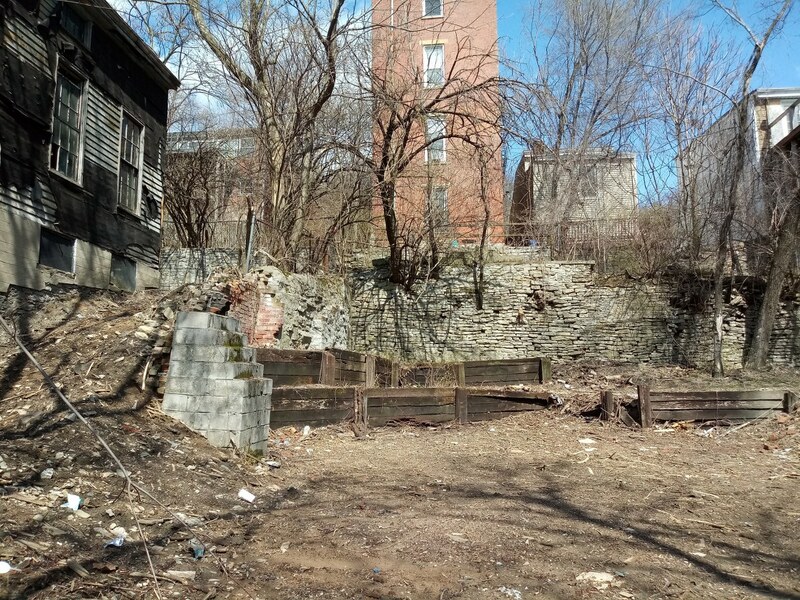 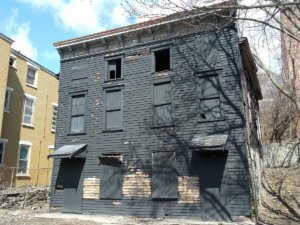 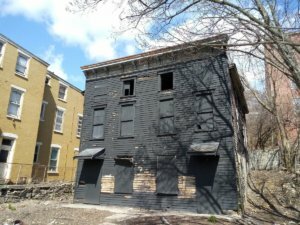 430 W McMicken – OTR A.D.O.P.T. 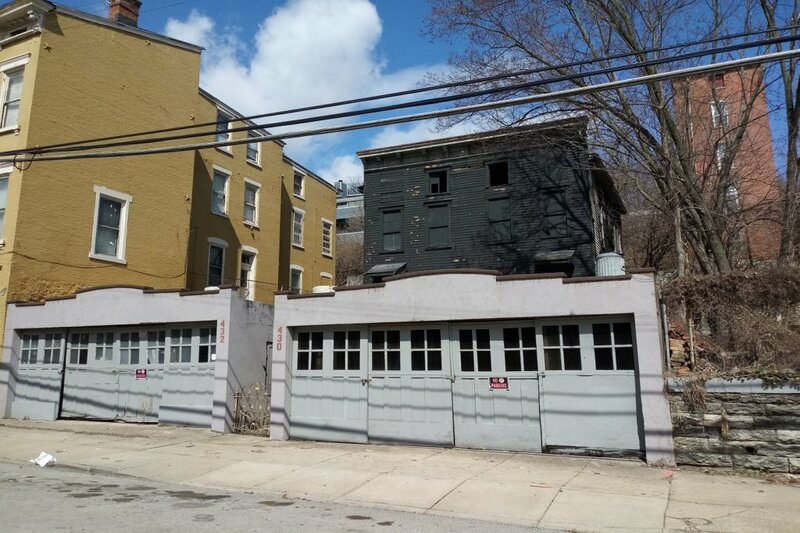 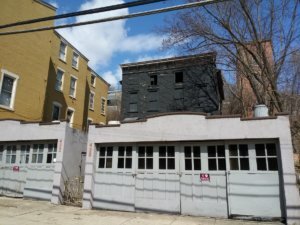 Perched atop a hill, with two garages located at street level, this 1880’s frame building was adopted by Caroline Snyder in 2018. 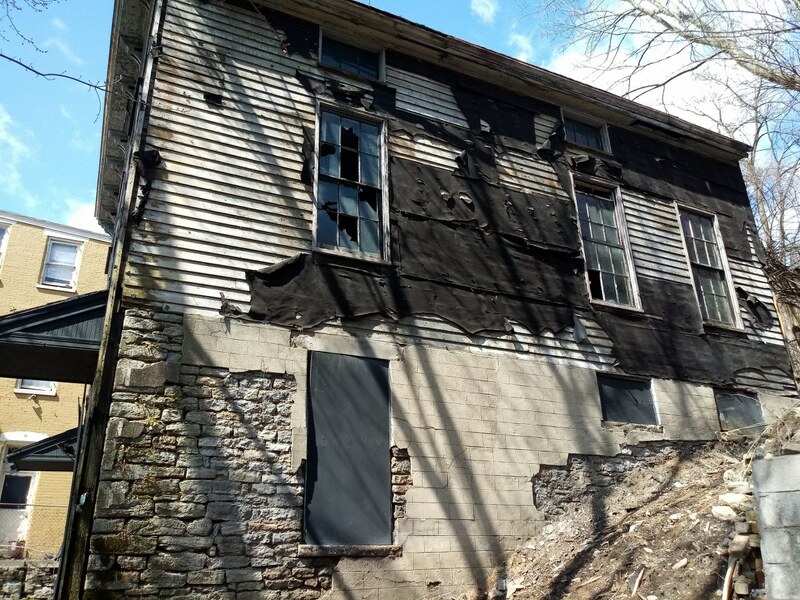 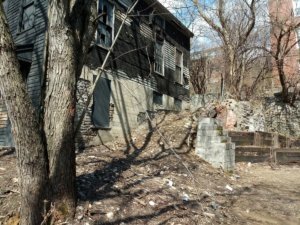 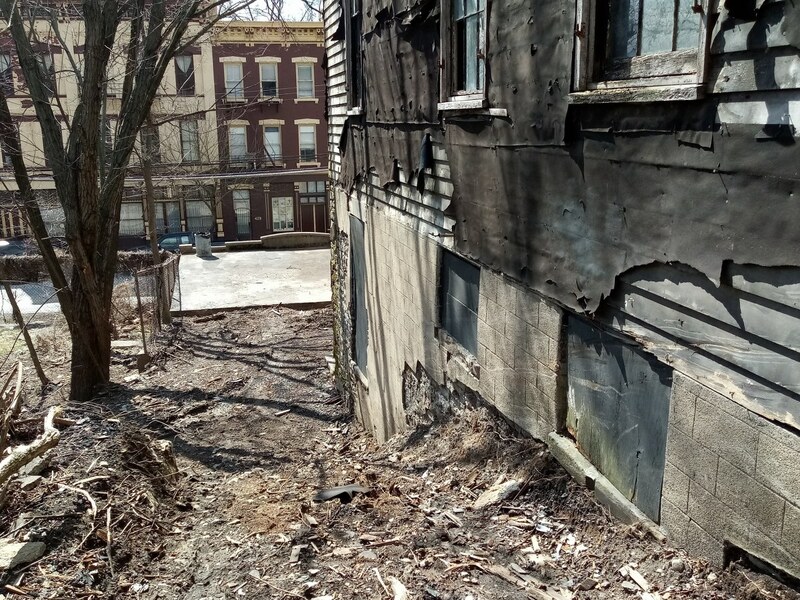 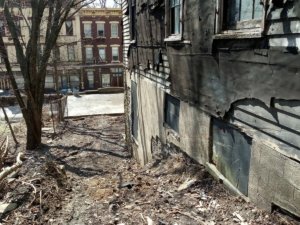 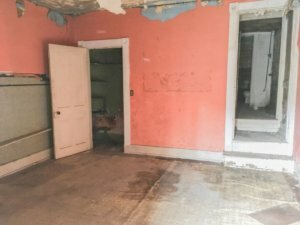 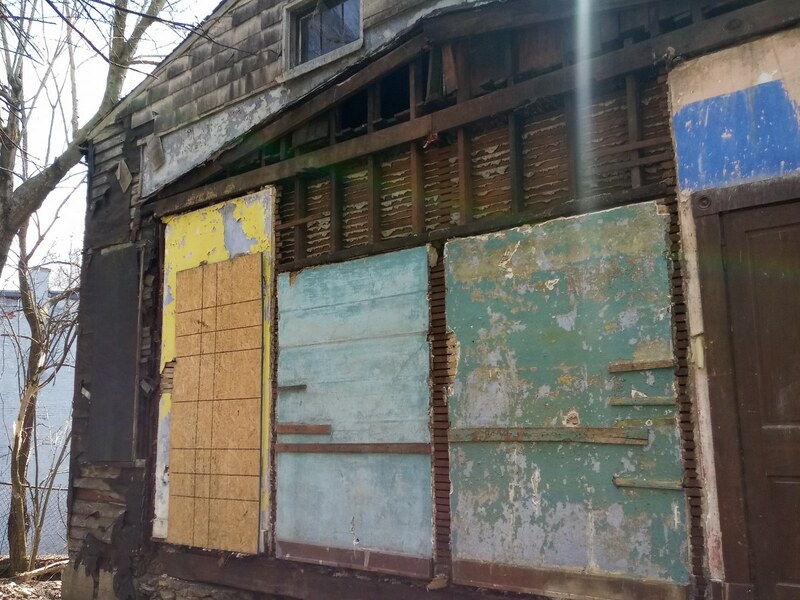 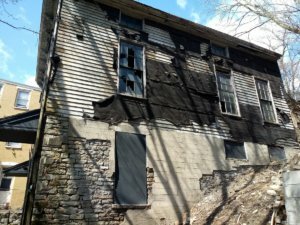 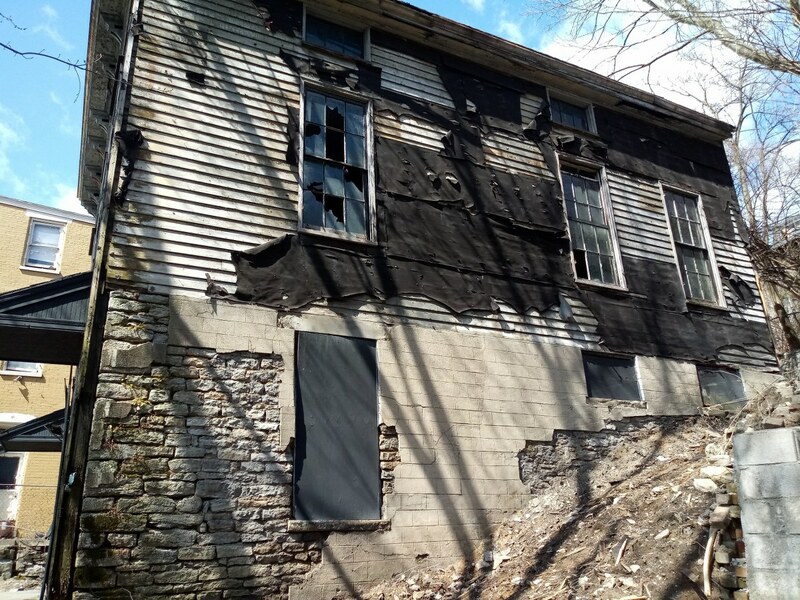 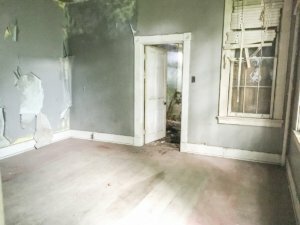 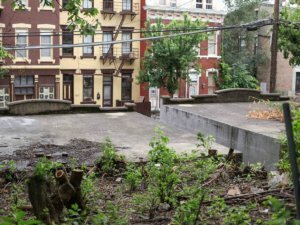 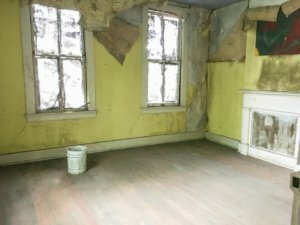 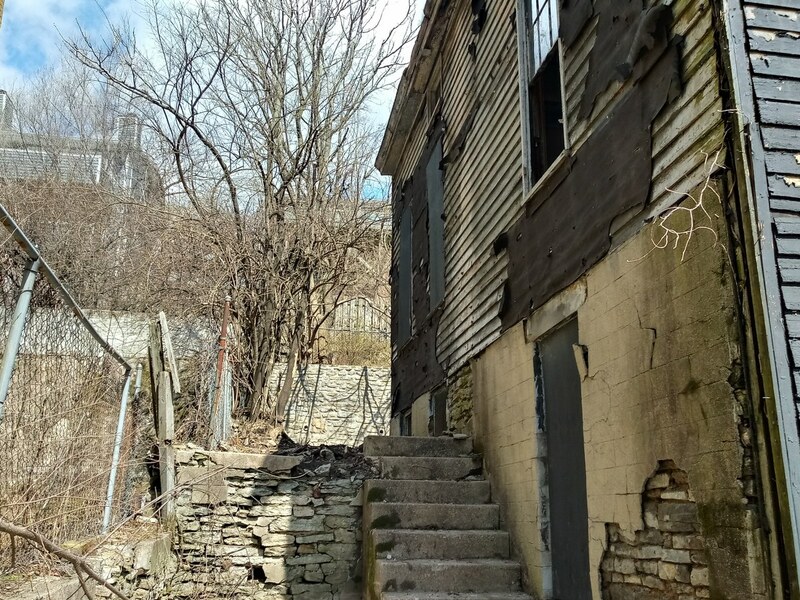 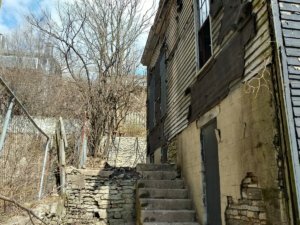 Caroline is rehabbing the building into two residential units, including her personal residence, and will repurpose one of the garages as a space for community use.